Announced just a few hours ago via the Sonic SXSW Panel, we have our first look at the cover for IDW’s Sonic comic issue #16! 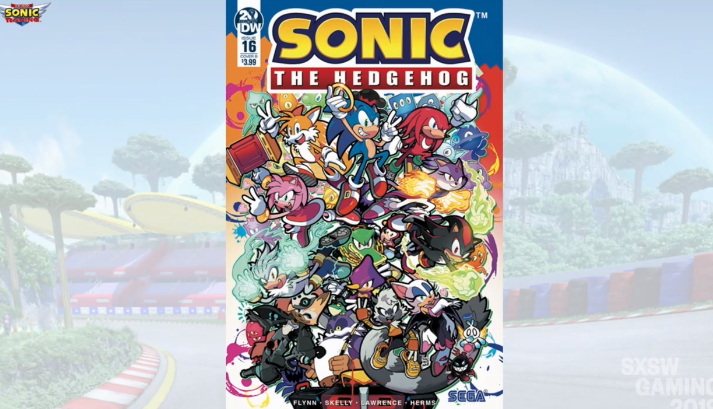 In what can only be described as a huge explosion of IDW Sonic goodness, virtually every character featured so far in the series takes a spot on the cover! No further details were provided. But there it is for your comic collecting goodness! Next Post > Next post: Froggy Merchandise Revealed At SXSW!